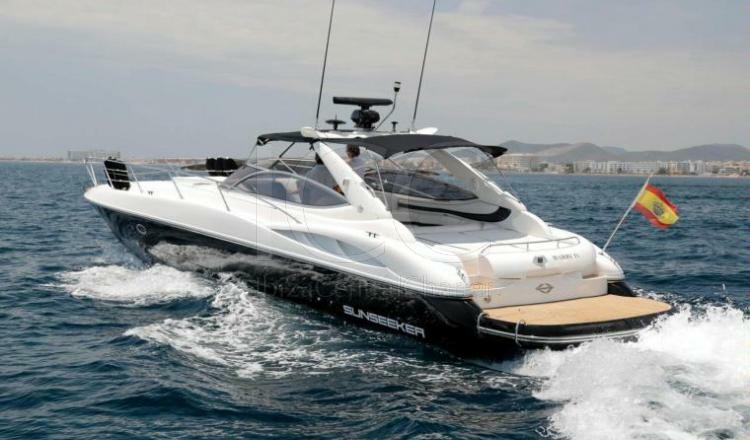 Sunseeker Superhawk 50 is one of the luxury yachts that is available in Marina Ibiza port to make your holidays in Ibiza or Formentera the best days of the year. 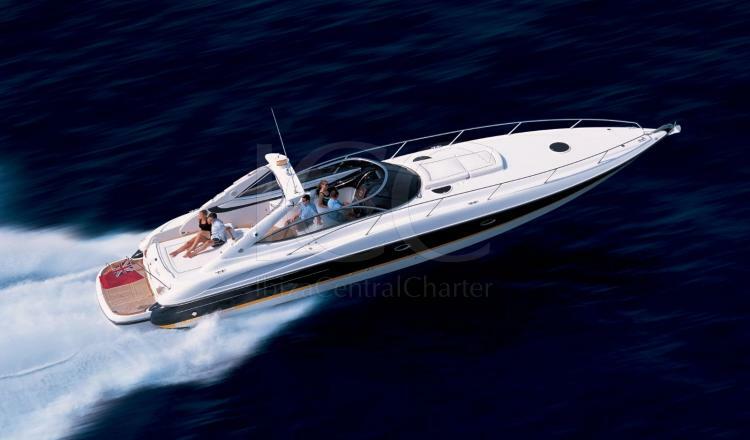 Sunseeker Superhawk 50 is a luxury yacht with a sporty design, which stands out for its special homologation of capacity for 12 guests plus a skipper. 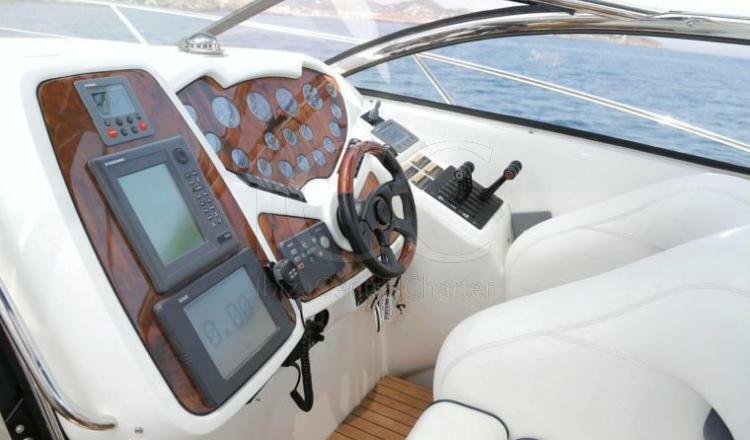 Its sporty design is accompanied by its three 425 hp engines that get this boat to sail in a stable and light way thanks to its surface propellers. 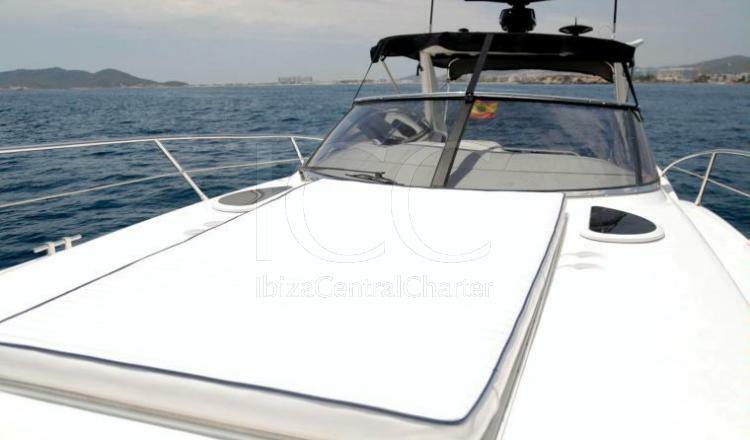 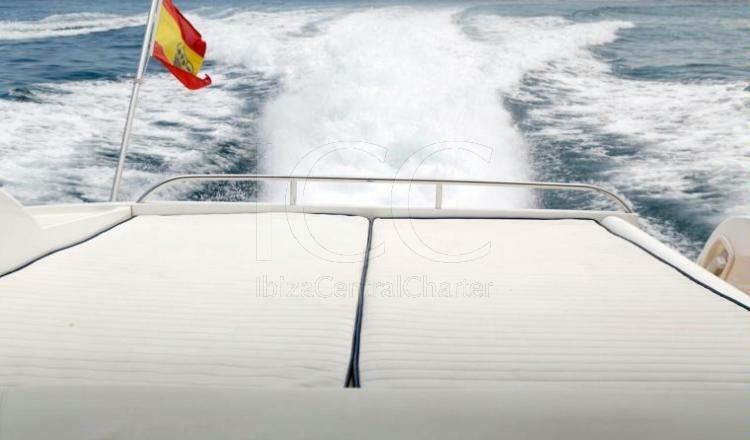 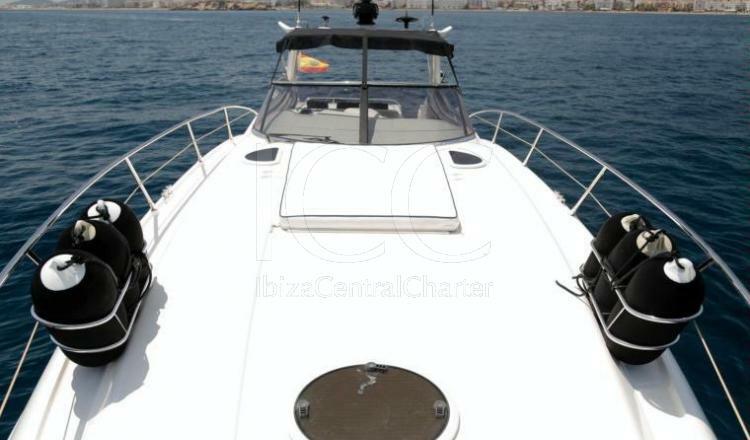 Perfect to enjoy the rich marine landscape that make famous Ibiza and Formentera. 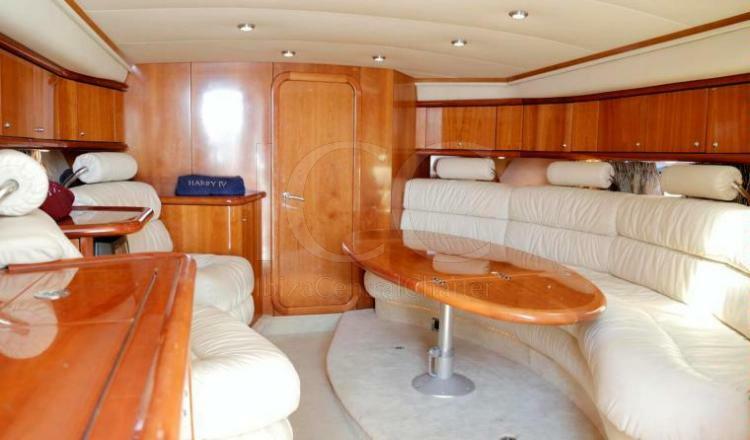 The exterior floor has two large solarium located in its bow and stern and a comfortable and protected command post. 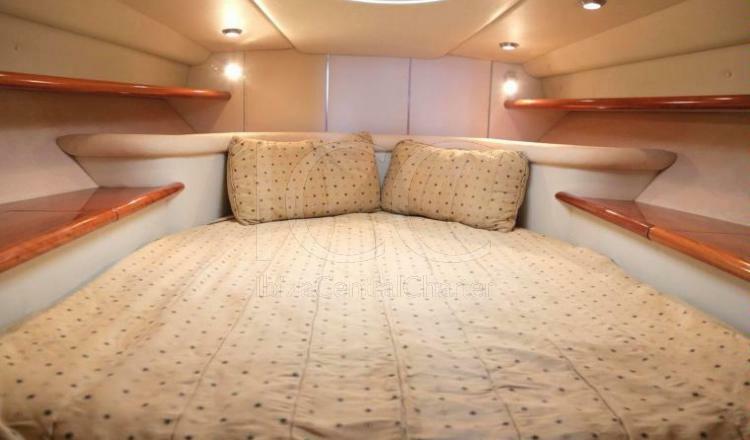 Following the line on the interior floor is a living room with TV and padded sofas, a fully equipped bathroom and a master cabin with a queen size bed. 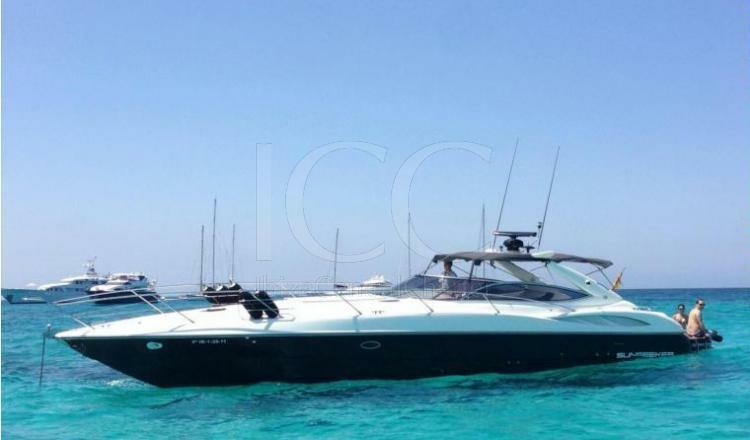 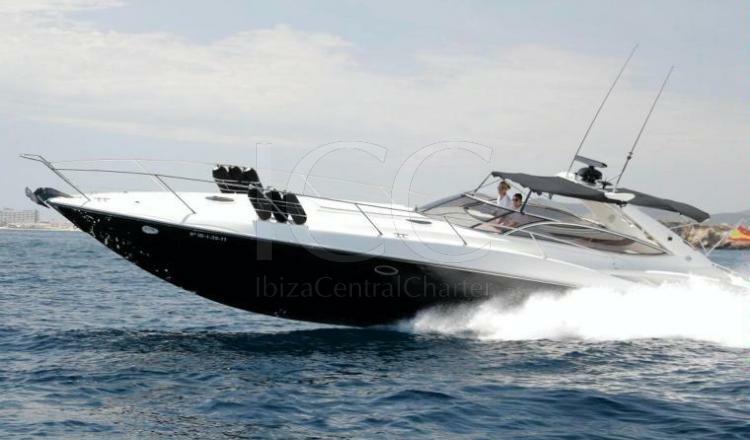 This yacht offers you the comfort, luxury and the habitability worthy of a 5 stars hotel to enjoy Ibiza and Formentera how you never done before.